Credit cards usually have a free credit period-which is the period from the date when purchases can be made till date of payment of the amount due. But in case of cash withdrawals from credit cards, there is no credit period – interest which could be as high as 3-4 % per month is charged right from the day the cash is withdrawn till the date of payment of the amount due. Hence avoid withdrawing cash on your card unless in case of an emergency. Debit cards are best suited for this purpose. When you use your credit card abroad, most credit card issuers charges currency conversion or a transaction fee which is a certain percentage of the transaction value. It is always better to find out what the likely charges would be before travelling. Buying petrol at petrol stations in India using your credit card attracts a surcharge of 2.5 % of the bill amount. This adds to the already high cost of petrol. If your petrol usage is high, it is advisable to opt for fuel or petro cards offered by some of the leading credit card issuers where the surcharge is waived off subject to a maximum regular limit. Late payment of credit card dues attacts an interest charge of about 2.5- 3.5 % per month which is 30 – 40 % per annum! Apart from this a late payment charge is also levied which is a fixed percentage of the outstanding amount subject to a minimum charge. Hence it is advisable to pay the credit card dues in FULL before the due date. Good one.One needs to be careful in ensuring clearing of all monthly dues lest one lands up with high interest rate. 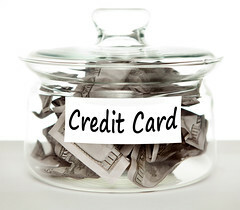 I have been successfully using credit cards for the last 25 years without any hassles. Iam sure Citibank must be fed up of me for paying all dues before time& not falling into their debt trap !! I am new visitor to your website and blogging style is great and write articles like this much usage to all and informative and new one too..I need to say something which might known to you already. 1.Rs.300-Rs.400 being charged by Bank extra for cash withdrawal other than interest charges,if we withdraw Rs.100 from credit card as a cash bank charge Rs.300 extra, so cash withdrawal from credit card is much unsafe to make our pocket zero. 2.Currency conversion is 100% mandatory for all banks in foreign countries for they transact.Some Maestro cards are exempted according to their worth. 3.Some banks have made tie up with several petroleum companies so they offer petrol without any charges extra with credit time as usual.ICICI bank with HP as a popular and they no.1 in transaction in petroleum..